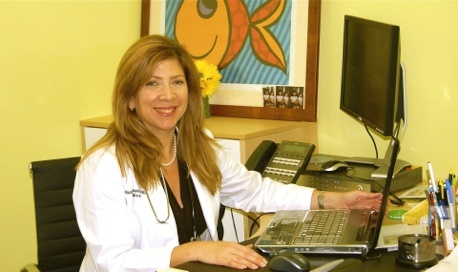 Healthy Kidz Pediatrics | Best Pediatrician at Doral - Miami | Hablamos Español & Portugues Call Me! Welcome to Healthy Kidz Pediatrics! We hope you find our site useful and informative. At Healthy Kidz Pediatrics our board certified pediatrician and staff are committed to serving the health care needs of your children. We are dedicated to the medical and behavioral well being of newborn, children and adolescents. Our environment is warm and caring, friendly and colorful, where toys and books appeal to kids and adults. We look forward to welcome you to our office and becoming a part of your family for years to come. This website has been designed by Healthy Kidz Pediatrics to provide general information and to assist you in finding answers to common questions that parents frequently ask, and is intended to give a basic idea and educate, not as a replacement for medical evaluation, advice, diagnosis or treatment by a healthcare professional. Make an Appointment. Please read our Disclaimer before utilizing the site. Thank you again for visiting Healthy Kidz Pediatrics’ web site! Get the School Immunization Forms Blue and Yellow here! If you are transferring from another pediatric practice, we will need to review a copy of your child’s medical records. Please contact your current primary care physician and ask for a copy of your child’s medical records to be sent to our office or you may drop them off. It is important that we have your child’s records prior to your 1st scheduled visit. Thank you! New patients should bring copies of their medical records including all immunizations, prior to their first visit with our practice. If your child receives care out of town or after hours from another practitioner, or has seen a specialist, please bring a copy of the visit, or ask them to mail / fax a copy so we can keep your child’s medical record complete. Our fax number is (305) 599-8023. Copyright © Healthy Kidz Pediatrics. All Rights Reserved. Website Design by Mega Innovations Group, Inc.